Incredibly talented, hardworking and insanely successful, these bombshells turn heads wherever they go. Here's a look at the ten hottest actresses from this year - from the blondes to the brunettes and the leggy lasses to the petite pixies. Actress Gal Gadot attends the Variety's Creative Impact Awards and 10 Directors to watch at the 29th Annual Palm Springs International Film Festival at Parker Palm Springs on January 3, 2018 in Palm Springs, California. How amazing was Gal Gadot in Justice League as Wonder Woman? This actress of Israeli descent wowed us in her role as the Amazonian warrior goddess who saves the day. We love her for her amazing sense of humor and wit and her impeccable talent, of course. In fact, when she was filming 'Justice League' she was three months pregnant and even though she was barfing after every scene, she didn't back down - she is that committed to her work. Gadot, who was crowned Miss Israel in 2004 is also as badass in real life - she has served a mandatory two years in the Israel Defense Forces as a combat instructor. Her breakout role was as Gisele Yashar in the 'Fast and the Furious' franchise. This 33-year-old brunette towers at 5ft 10 inches, is known for her willowy figure, makeup-free selfies and her love for doughnuts! Margot Robbie was a treat for sore eyes in 'I, Tonya' but this time it wasn't just because of how stunning she is. The Australian beauty went through a gazillion looks in the film as the five-foot-one figure skater Tonya Harding. The actress, who is 28 portrayed the defamed figure skater's timeline from 4 years to old to 44, and she did it as though her life depended on it. Not to mention, the role itself was extremely challenging as this was a biopic of an Olympic athlete. A far cry from her breakout Hollywood role in 'The Wolf of Wall Street', Margot Robbie proved her point with this film - she is much more than a pretty face. However, there's no denying that 5.5-foot tall Magot is gorgeous - golden locks, a strong jawline, high cheekbones and captivating eyes coupled with a hot bod make her one of the hottest actresses of 2018. 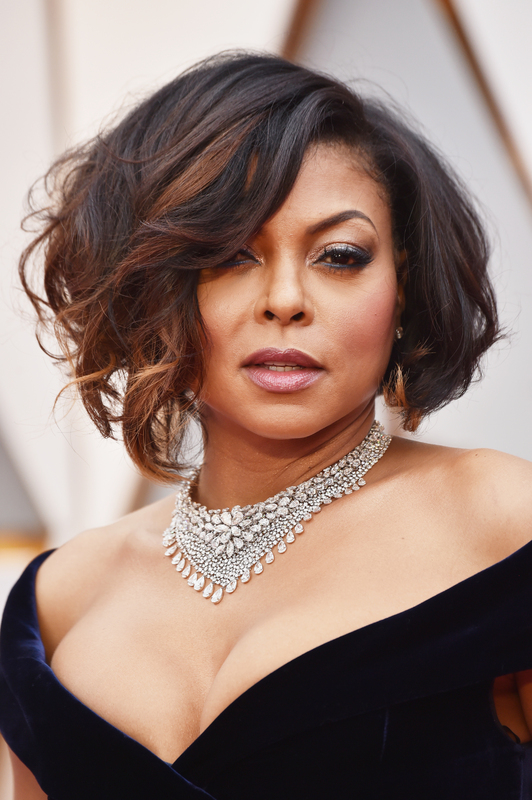 Taraji P Henson found her footing on the small screen with the role of Cookie Lyon, the queen bee and the wife of a former drug dealer turned hip-hop mogul, Lucious Lyon (Terrence Howard) in Fox's 'Empire'. The show that is coming back for a fifth season this September has been a major success and has garnered awards and accolades, most of which have been because of Henson's superb performance. But this 47-year-old brunette doesn't just kill it with her talent, she also turns heads at the red carpet. She's got the boldest sense of style that perfectly compliments her voluptuous physique. The gorgeous Ruth Negga plays Tulip O'Hara in AMC's 'Preacher'. The badass outlaw girlfriend of Jesse Custer, she stands out in the show not only because of her epic portrayal of Tulip but also because of how easily she does it. The Ethiopian-Irish actress has one of the most unconventional faces in Hollywood. The Academy award nominated brunette is 5.2 foot tall, has light brown doe eyes and is a size 4. She's also got a signature curly pixie. The 36-year-old lands on the best-dressed lists all the time thanks to her edgy fashion sense - coupled with looks like that, how could she not! Lupita Nyong'o attends the screening of 'Sorry Angel (Plaire, Aimer Et Courir Vite)' during the 71st annual Cannes Film Festival at Palais des Festivals on May 10, 2018 in Cannes, France. Lupita Amondi Nyong'o is a Kenyan-Mexican actress. The daughter of Kenyan politician Peter Anyang' Nyong'o, this 35-year-old star was more than amazing as Black Panther T'Challa's love interest in the film. An Academy Award winner, her acting skills need no validation and she can rock the hell out of a swimsuit whenever she pleases. Lupita's facial features are on fleek and her washboard abs and super toned body only make this chocolate colored warrior goddess even more attractive. A theatre major, she also loves wildlife safaris and traveling. She's 5.5 foot tall, weighs 112 lbs and has soft dark brown eyes. Natalie Dormer attends the Evening Standard Film Awards at Claridge's on December 8, 2016 in London, United Kingdom. Natalie Dormer's dreamy eyes will get you, you like it or not. Especially in 'Picnic at Hanging Rock', the Victorian crime drama. Natalie stuns as Mrs. Appleyard, her broody and mysterious character. Natalie rocks the role as well as every outfit like a boss, from mini sunglasses to the massive frocks. Known for her perky pout, edgy hairstyles, and her outspoken personality, this 36-year-old stands at 5.6 feet and weighs 123 lbs. She likes fencing, is fluent in French and is a self-proclaimed poker lover. Cate Blanchett attends the IWC Filmmakers Award on day two of the 14th Annual Dubai International Film Festival held at the One and Only Hotel on December 7, 2017 in Dubai, United Arab Emirates. She pulled off the heist of the century in 'Oceans 8' and damn, she looked good doing it! Cate Blanchett was one of the treats of watching the female adaptation of the iconic 'Oceans' franchise. She towers at approximately 5.8 ft and weighs 124lbs. Apart from her major acting talent, this 49-year-old has looks to kill. Her piercing blue eyes speak volumes in every photograph and her bone structure can put many supermodels to shame. Actor Yvonne Strahovski attends The 75th Annual Golden Globe Awards at The Beverly Hilton Hotel on January 7, 2018 in Beverly Hills, California. 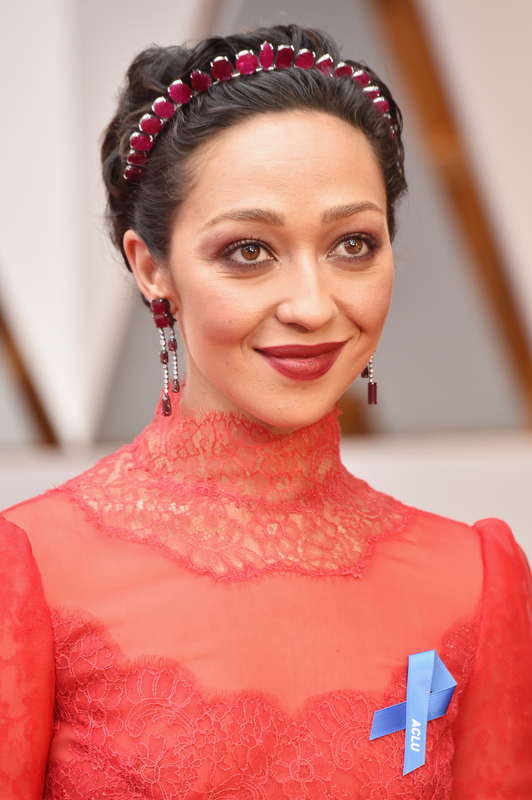 The 35-year-old Austrailian actress' recent work of art is her portrayal of Serena Joy Waterford in the dystopian future drama 'The Handmaid's Tale'. She's a blonde with piercing blue eyes and a very strong jawline. She's 5.9 foot tall, weighs 130 lbs and boasts of a willowy physique. She has two pet dogs named Chazzie and Willy and is fluent in Polish as well as English. Actor Vanessa Kirby attends the 69th Annual Primetime Emmy Awards at Microsoft Theater on September 17, 2017 in Los Angeles, California. Vanessa Kirby is a 30-year-old British actress who was most recently seen in 'Mission Impossible: Fallout'. She starred in the film as White Widow, a black market arms dealer. In spite of the big Hollywood role, she is said to be uninterested to move to Hollywood. She's a blonde with piercing blue eyes and oval face with full cheeks and is 5.8 foot tall. Interestingly, while studying in college, Vanessa used to dye her hair brown so that people would take her more seriously. Thandie Newton attends special BFI screening of 'Solo: A Star Wars Story' to celebrate the film's BFI Film Academy trainees at BFI Southbank on May 23, 2018 in London, England. The 35-year-old black haired beauty is of Zimbabwean descent on mother’s side and English ancestry on father’s side. She plays Maeve Millay, the madam of Sweetwater, in the HBO show 'Westworld'. The show is set in a town called Westworld which is a technologically advanced Wild-West-themed amusement park populated by android hosts. She has light brown eyes, is an atheist and has a distinctive mole mark below the right eye.